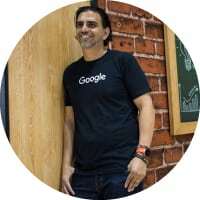 In addition to his role at Google, Jaime serves on a number of boards for organisations focused on education, innovation, and equity. Jaime teaches a 10th grade communication class at the Phoenix Coding Academy in Phoenix and is an adjunct professor at Arizona State University, where he teaches classes on policy, innovation, and leadership. New Education Models: Using technology to bring education to the next level so it can support helping students build the knowledge, skills, and abilities they will need for a new economy. Using technology to focus on problem solving and collaboration: We need to stop asking kids what they want to be when they grow up and start asking them what problem they want to solve. Then asking them, what do they need to learn to solve that problem. How can they use technology to build the KSA’s they will need to solve the problem they are interested in. Equity: Using technology to help level the playing field. Using technology to bring resources under served schools don’t have. Teaching digital leadership skills so poor students can use technology correctly. and my wife, Jennifer Vollmann.